You can break personal finance into three broad categories: income, expenses and savings. Your personal cash flow statement lists your income and expenses and a common goal is to end each month with a positive balance — with money left over to put into savings. Whether it’s through couponing, lifestyle changes or maximizing investment returns, we often tend to focus on how to make the most with what we have. But don’t forget the third category, your income. Maybe you have a hobby you are passionate about on which you wish you could spend all your time. Perhaps you enjoy design, fitness, writing, music, photography, personal development or have some other passion. Or there may be a segment of your current work that you really enjoy. With planning, dedication and an understanding of how your skill set could benefit clients, you could make the transition from your original career to a more entrepreneurial role. A friend was able to accomplish this after years of effort and wanting change in her professional life. Looking for a way to release stress, she started working out. Soon, it became her hobby. And then her passion. Several years later, she got the necessary training and certifications to go into business for herself as a fitness instructor and personal trainer. Others have similar experiences. 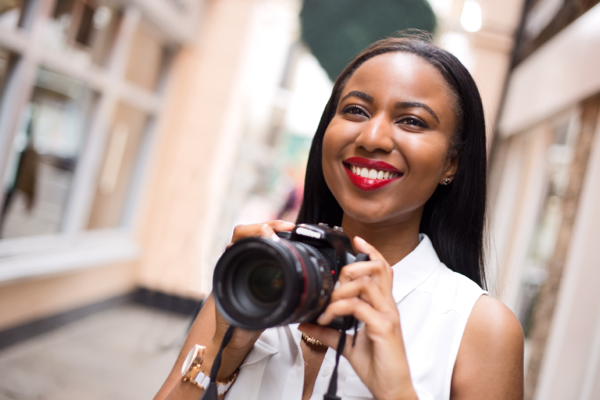 A photography or coding course sparks intrigue, which leads to exploration as a hobbyist and an eventual career or part-time income source. Or later in life you may decide it’s time for something different and start by exploring your interests and then setting off on an entirely new path. Acknowledge that you may be giving yourself a new job. Those that have the entrepreneurial itch can scratch it in many ways, and if you’re interested in being your own boss or bringing in some extra income, there are many helpful resources. The Small Business Administration’s learning center and SCORE, a nonprofit that helps small businesses and works with volunteer mentors, could be good places to start. However, a business based on your hobby or passion can be a different beast altogether. First, consider whether you actually want to turn something you enjoy into a financial pursuit. Some people find that the transition can “ruin” their hobby in a way — it could feel like a chore or job rather than an enjoyable outlet. As long as it doesn’t require a substantial upfront financial investment, testing the water before diving in fully could be a good idea. With the proper clearance, you can stay at your current role and start a small side business or offer your services as a freelancer to see what the experience will be like (and how much money you can make). You might find that a profitable, or cost-covering, hobby is enough. Or, you could discover a desire and opportunity to fully commit to your new venture. Identify ways to make your offering uniquely yours. No matter how hard you try, you can’t will money into existence. It will take a lot of work to make a business succeed and even with a driven entrepreneur at the helm, many businesses don’t make it past the first several years. But whether you’re creating and selling a physical product or offering a service, you bring a unique set of skills and experiences to the table. Try to figure out how these can distinguish your offerings or add a unique twist that will help potential customers meet their goals. For example, my friend offers an openness and acceptance that other fitness instructors might not, and her students love her because of it. She doesn’t bark orders like a drill sergeant, and that’s one way she distinguishes herself from the crowd. She happens to live in a metropolitan city, but what if she lived in a small town where she couldn’t regularly connect with clients to grow her business? Perhaps she wouldn’t be able to make a lot of money as a fitness instructor at a local studio or as a personal trainer at a gym. However, she could create educational videos and offer personalized meal plans, workout schedules and one-on-one advice online. In fact, the online offering could be her unique twist and a way to establish her presence in a niche market. Some people might prefer working out from the comfort of their home with bodyweight exercises or light weights and still want the personal advice or motivation that a trained professional can offer. Narrowing in on how you’ll make your business unique or different could be important to your success, but there isn’t one right way. Businesses succeed for a variety of reasons. They might create something entirely new, figure out how to make something less expensive or more luxurious, put their efforts into customer support or figure out a fun and creative way to advertise their product. Figure out who your target customers are and what they like. No matter your financial goals, if you’re going to make money you’ll want to identify a target market. Generally, this will be a group of people who want and can afford your offering. Both qualifiers are equally important. Be brutally honest with yourself. There isn’t always a profitable market, and some hobbies don’t make great businesses. Working within a proven market — selling something that people already buy from others — can be a good thing because you know there’s at least some demand. From there, you can figure out the best way to find customers that like the twist or extra touch you’ve put in. Drawing on my friend’s experience again, she’s discovered several ways to attract her clients. Some people already have an active lifestyle and don’t necessarily need motivation. For them, she emphasizes her knowledge of fitness and health. She can craft a meal plan that aligns with their physical goals and work with them to improve their form and help prevent injuries. Are you ready to take action? Managing spending and saving are essential elements of any financial life. But with some thought and planning, you could grow another essential element — your income — while doing something about which you are passionate. Any entrepreneur can tell you actions speak louder than words. If you’re ready, or curious, about turning a hobby or passion into a new source of income or career, perhaps it’s time to give it a shot. You don’t need to put everything on the line, just dip in a toe and see how it feels before committing to a new line of work. This article is intended to provide general information and should not be considered legal, tax or financial advice. It’s always a good idea to consult a legal, tax or financial advisor for specific information on how certain laws apply to you and about your individual financial situation.